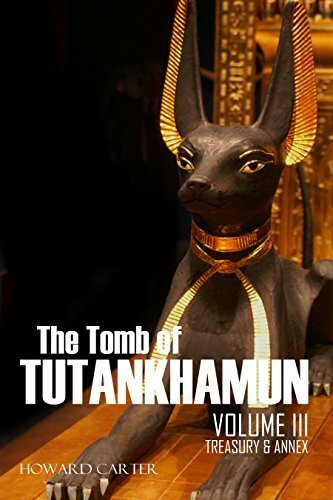 In this third and final volume of Howard Carter’s classic work on his historic discovery of the tomb of Tutankhamun, he gets down to the details of the objects contained in the Treasury and the Annexe. Neither of these chambers had escaped the attentions of the tomb-robbers who had entered the tomb in antiquity. As Carter describes, both rooms had objects that suffered at the hands of the robbers (and probably the officials charged with resealing the tomb).